Add extra shelves to existing units, build your own customized unit, or add on shelf extensions with these shelves (combined with Stackable Poles and Shelf Connecting Hooks). Strong welded wire construction provides exceptional strength and stability. Open design allows air circulation and helps reduces dust build-up. Ideal for commercial applications. Snap-on design assembles in minutes. 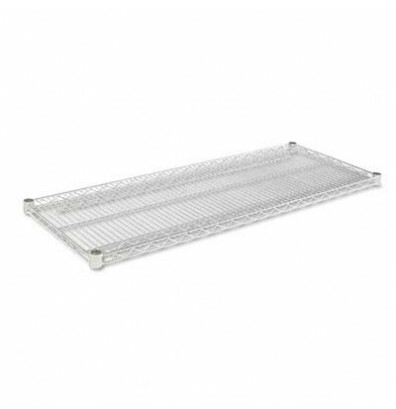 Includes two shelves and Alera® Wire Shelving Shelf Lock Clips.